Joel Barrientos Montoya, 85 passed away Thursday, March 28, 2019 in Lubbock. Services for Mr. Montoya will be 10:00 am Saturday, March 30, 2019 at Calvillo Funeral Home with Pastor Ambroiso Montoya Jr. officiating. Burial will follow in the City of Lubbock Cemetery under the direction of Calvillo Funeral Home. A prayer service will be held 7:00 pm Friday, March 29, 2019 at Calvillo Funeral Home with visitation starting at 1:00 pm. Joel was born July 15, 1933 in Kingsville to Margarito & Josefa Montoya. 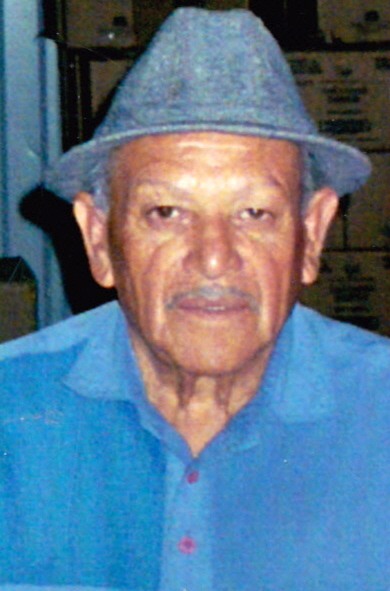 He married the late Eloida Montoya in 1951 and enjoyed playing his harmonica and doing yard work. Most of all, he loved spending time with his family and friends. He is survived by a son, Joel Montoya of Lubbock; eleven grandchildren; nine great grandchildren; a sister, Rebecca Gomez; numerous nieces and nephews.